The Australian National Maritime Museum acknowledges the Yolngu people as the traditional custodians of the lands and waters of North-East Arnhem Land. We pay our respects to them and their elders both past and present. Members of the Northern Land Council flew into the homeland centre of Yilpara to commence the Blue Mud Bay legal case hearing. Image courtesy Northern Land Council. 30 July 2018 marks ten years since the landmark High Court decision that granted sea country legal rights to the Yolŋu people of the Northern Territory. The exhibition Gapu-Monuk Saltwater: Journey to Sea Country centres around 40 Yirrkala bark paintings from the Saltwater Collection, created by the Yolŋu artists who petitioned for sea rights by painting their Saltwater Countries onto bark and revealed sacred patterns or designs, known as Miny’tji, as evidence of their connection to Blue Mud Bay. This legal fight was just one small part of a much richer Indigenous history and relationship to the sea. The Blue Mud Bay Sea Rights flag was created for the landmark Blue Mud Bay Case. Since that decision, the Australian National Maritime Museum is the first Federal agency or any organisation to fly the flag outside of the Northern Territory. Here the flag is shown in the waters of Blue Mud Bay. ANMM Collection 00054886. Let’s step back to the 1970s in the Northern Territory. The strong fight by Indigenous peoples for land rights most definitely included the sea. The Northern Territory was the first jurisdiction in Australia to consider legal sea rights. He referenced a number of letters sent by communities, such as Yirrkala, fighting to keep these sea rights. However, all attempts to amend the 1976 bill to reintroduce the two-kilometre sea country rights buffer zone were unsuccessful. The Northern Territory did this by providing for sea closures in the Aboriginal Land Act (NT), yet any non-Indigenous person who held a current commercial fishing licence was exempted from this and therefore could continue fishing in these ‘closed seas’.8 Further, applications for sea closures were a long and expensive process, involving lawyers and a multiple day hearing before a Land Rights Commissioner. Only two sea closures were ever granted 9 and that was back in the 1980s, although the law still exists on the books. The first legal fight for native title to sea country also occurred in the Northern Territory: the people of Croker Island went to the High Court and had native title recognised to their seas surrounding their island in 2001.13 We have now seen a number of successful native title claims to sea country – including around Blue Mud Bay,14 as well as the largest-ever native title claim to the sea in the Torres Strait.15 That determination stretches for 44,000 square kilometres and includes a historic right to fish commercially. Yolŋu traditional owners and Northern Land Council executives in Canberra to witness the historic High Court Sea Rights decision. Image courtesy Northern Land Council. 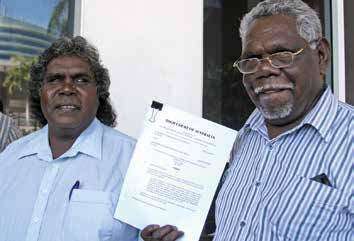 Blue Mud Bay case plaintiffs Djambawa Marawili AM (left) and former Northern Land Council Chair and Land Rights campaigner Mr Wunuŋmurra (since deceased). Image courtesy Northern Land Council. Then came the fight for Blue Mud Bay. 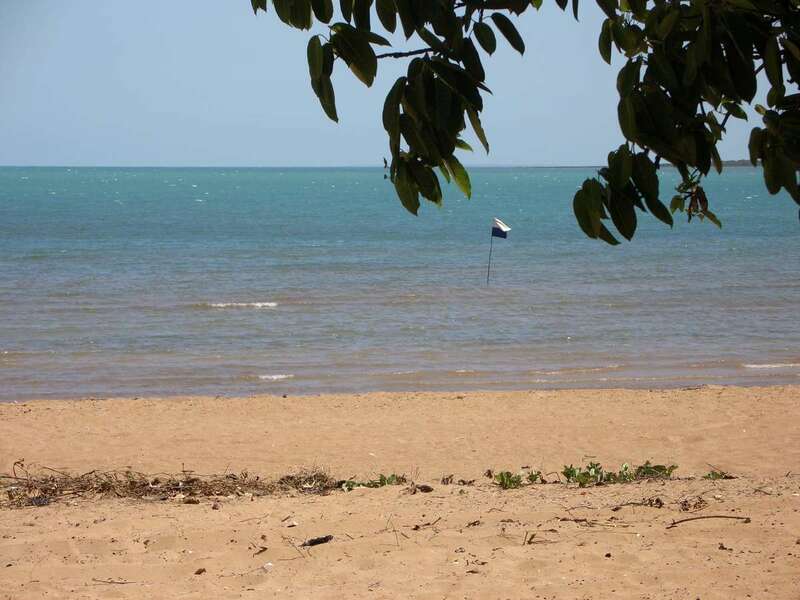 The Blue Mud Bay case17 was about the Yolŋu peoples’ fight for the intertidal zone – the piece of country that is sometimes wet and sometimes dry. To the Yolŋu peoples, there was and is no distinction between wet and dry, it is all their country. The legal question was whether the intertidal zone was ‘Aboriginal land’ under the Aboriginal Land Rights (Northern Territory) Act. But really, this case was about controlling access – who could access those waters, and did they need permission from the traditional owners of the sea country. 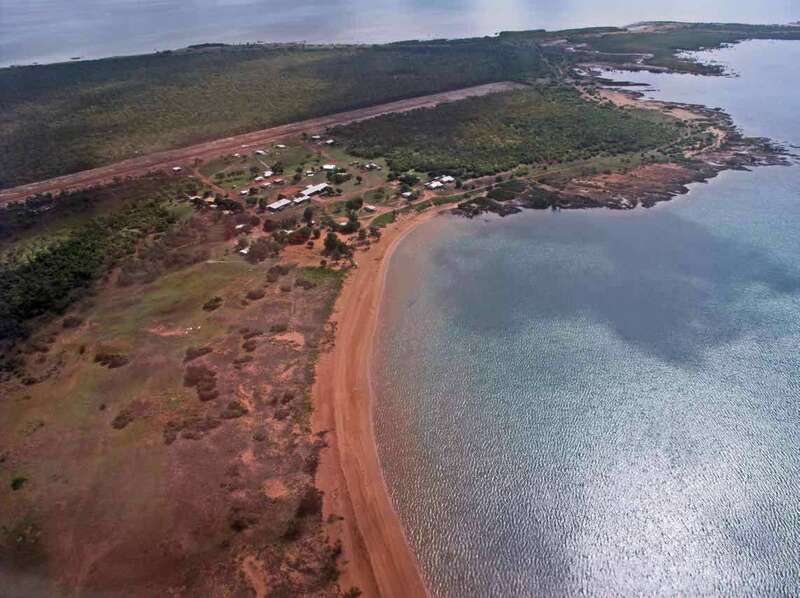 The practical outcome of the Blue Mud Bay case was that entry onto waters over Aboriginal land, for a purpose such as fishing, requires permission from the relevant Aboriginal Land Trust. This was exclusive ownership. Further, this case applies to approximately 85 percent of the coastline of the Northern Territory.18 This case is one of the most important cases in the history of Aboriginal land rights. 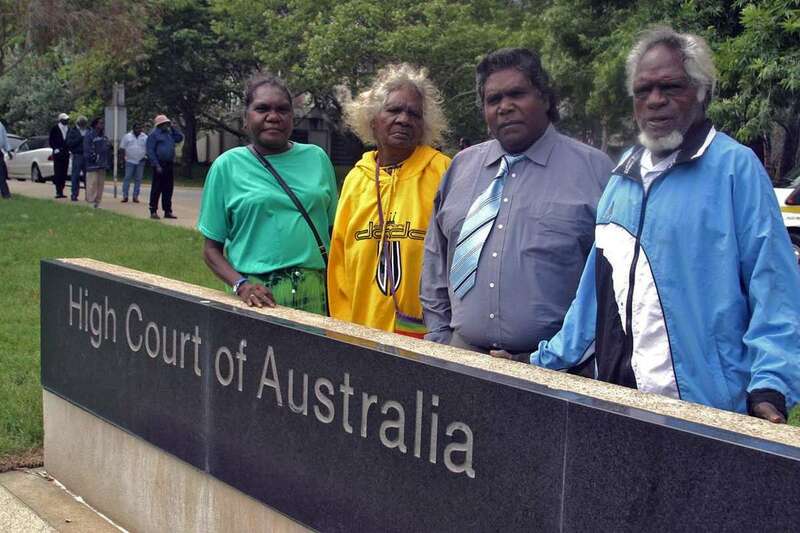 Claimants in the Blue Mud Bay case, from left: Dayŋawa (2) Ŋurruwut’thun (since deceased), Mulkun Wirrpanda, Djambawa Marawili am, Marrirra Marawili. Image courtesy Northern Land Council. Negotiations are ongoing with the Northern Territory government about the outcome of the Blue Mud Bay case.19 What must be at the forefront of these negotiations is that the Blue Mud Bay case was a powerful affirmation of the existing legal rights of Traditional Owners on the Northern Territory coastline. In each of these examples – sea closures, native title and the intertidal zone – strong Indigenous sea country communities have fought tirelessly, even in the face of legal setbacks along the way. — Lauren Butterly, Lecturer at UNSW Law. She researches in the areas of native title, Indigenous heritage, environmental law and administrative law. She has particular expertise in relation to legal rights to sea country. Lauren holds a Bachelor of Arts (History) specialising in Indigenous history and a Bachelor of Laws with First Class Honours, both from the University of Western Australia. This article appears in Signals no. 123 (June 2018) and is an edited transcript of a presentation given by Lauren Butterly at the Nawi: Travelling our Waters symposium, held at the museum in November 2017. Images in this article have been reproduced with kind permission of the Northern Land Council. 1 Justice Woodward, Aboriginal Land Rights Commission: First Report, 1973, p. 33. 3 Justice Woodward, Aboriginal Land Rights Commission: Second Report, 1974, p. 80. 6 Commonwealth, House of Representatives, Parliamentary Debates, 17 November 1976, p. 2789 (the Hon Leslie Johnson). 7 Aboriginal Land Rights (NT) Act 1976 (Cth), s 73(1)(d). 8 Aboriginal Land Act (NT), ss12 and 18. 9 The sea closures are located off the coast of Arnhem Land – the Milingimbi, Crocodile Island and Glyde River area and Howard Island/Castlereagh Bay area. 10 Mabo v Queensland  HCA 69. 11 Richard Bartlett, ‘Aboriginal Sea Rights at Common Law: Mabo and the Sea’ in Turning the Tide: Papers Presented at the Conference on Indigenous Peoples and Sea Rights, 14 – 16 July 1993, Darwin, pp 10 – 11. 13 Commonwealth v Yarmirr  HCA 56. 14 Gumana v Northern Territory (2005) 141 FCR 457. 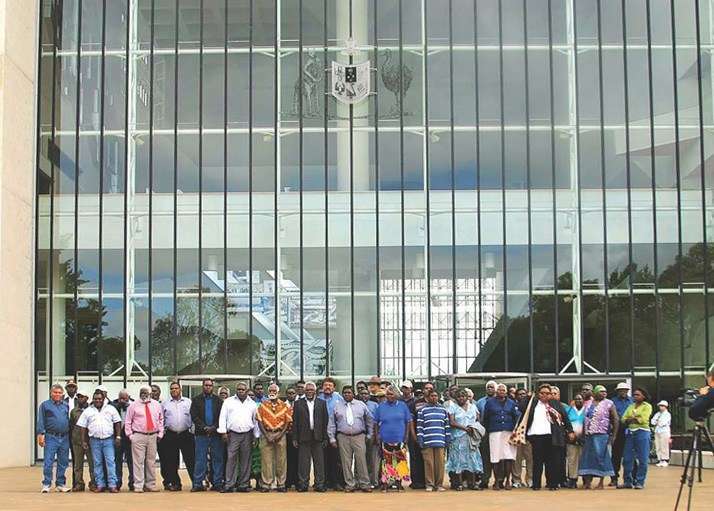 15 Akiba on Behalf of the Torres Strait Regional Seas Claim Group v Commonwealth of Australia  HCA 33. 16 Commonwealth v Yarmirr  HCA 56 . 17 Northern Territory of Australia v Arnhem Land Aboriginal Land Trust  HCA 29. 18 Northern Territory of Australia & Anor v Arnhem Land Aboriginal Land Trust  HCATrans 324 (21 June 2007). 19 For further analysis on this point see: Lauren Butterly, ‘A decade on: What happened to the historic Blue Mud Bay case (and why is it in the news again)?’ on AUSPUBLAW (20 June 2017).